THE KING IS DEAD -- LONG LIVE THE DEAD KING! 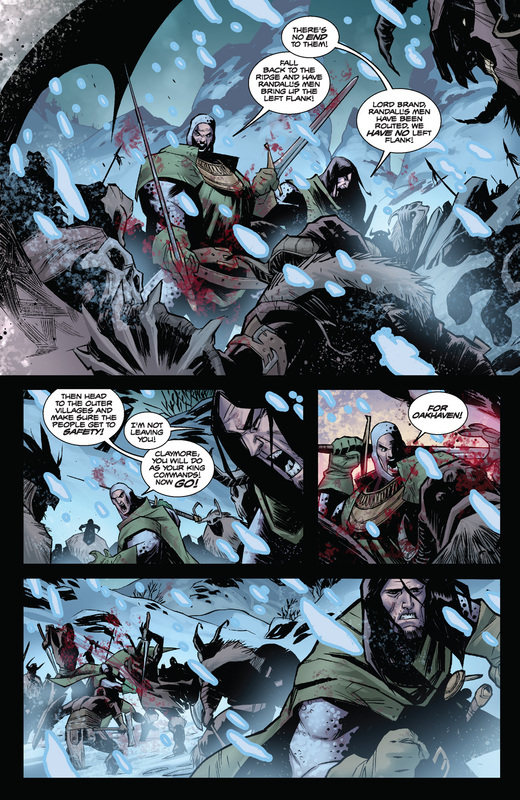 King Valen Brand was a just ruler and a great warrior until he was killed by the necromancer Korrus Null in battle and resurrected as one of the walking dead. 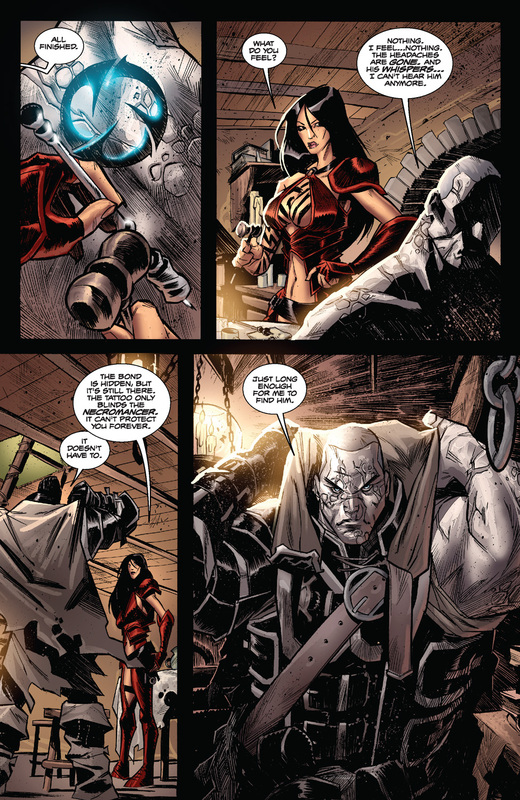 Now he’s considered an abomination in his own realm, an outcast with only one purpose: to restore his lost soul... 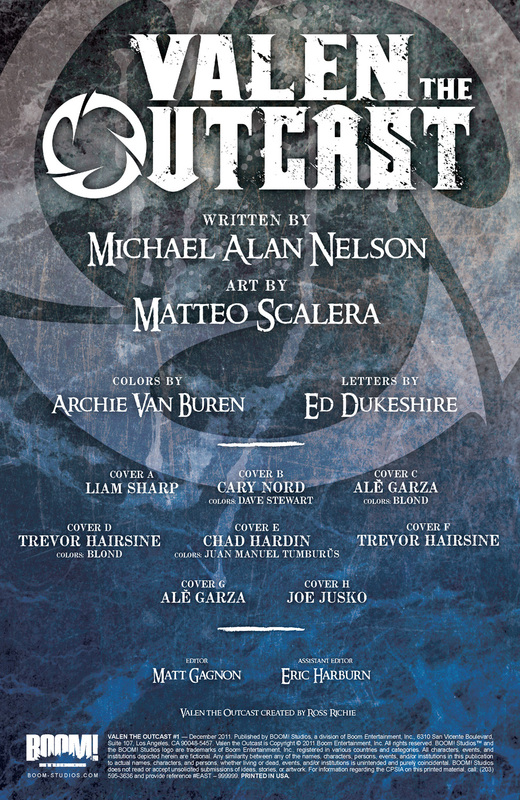 Written by fan-favorite creator Michael Alan Nelson (28 DAYS LATER, ROBERT E. HOWARD’S HAWKS OF OUTREMER) with art by rising star Matteo Scalera (DEADPOOL), VALEN THE OUTCAST is a blend of “epic fantasy” and “sword-and-sorcery” that is perfect for fans of A Game of Thrones and Conan the Barbarian. 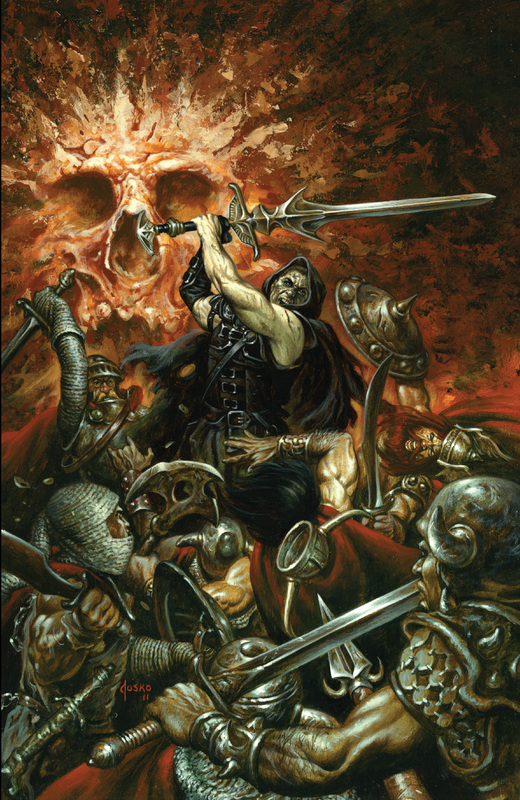 Collecting issues 1-4 of the visceral new series, join Valen and his ragtag band of renegades and smugglers as they cut a path through his war-torn kingdom, fighting a dozen armies as they vie for his old throne.